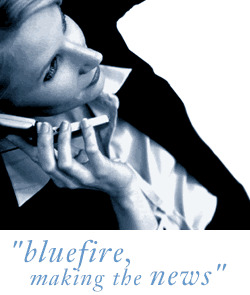 Bluefire Consulting are looking to recruit a Graduate Mechanical Engineer to be based in Ellesmere Port paying a starting salary of £26k, to undertake a three year graduate programme with a world leading company who specialise in sustainable packaging solutions. Upon completion of your graduate programme you will take a senior role within the company. We require high level Graduates with a recent University Degree 2.1 or above within an Engineering discipline. You must currently live in the UK. The Graduate Mechanical Engineer, will join a company that produces sustainable solutions for paper and board packaging with production facilities in Spain, France, Portugal, Italy, Ireland and U.K who are offering a 3 year training programme . Located in the North West.You will embark on a career that will be financially beneficial and also personally rewarding. We want ambitious and multi skilled /Mechanical/Production graduates who are able to demonstrate previous experiences and qualifications and a real desire to reach the top of their professions. The graduate development programme is a unique curriculum that begins with s a three year programme, where on completion, you will progress onto a senior permanent position within the organisation. The graduate programme is designed to provide you with the guidance, training and environment you will need to fulfil your potential. Unlike many graduate programmes which have a rigid template, our client's plan is to identify the skills you possess and then jointly plan how and in which direction your graduate development programme takes, this could be in an engineering capacity or management direction, the choice is yours. You will initially be based in the North Westarea but as the programme continues you may be required to work at other locations in the U.K. and also undertake a variety of training that may be conducted in Spain and other destinations throughout Europe. Therefore it is vital that you have an open mind in regards to where you will be based over the length of your programme. We will consider candidates who wish to relocate to the area if you are of a high calibre. You must live in the UK at present. The Graduate Mechanical Engineer will begin their programme by undertaking Production project work in conjunction with a combination of learning modules, international training courses and online tutorials. You will work for the first 6 months in the Production/Packaging plant to gain hands on experience and training before joining an in depth training programme in September 2014 alongside other graduates from other sites all over the UK. The Graduate Mechanical Engineer will look at Projects/Assignments such as. The Graduate Mechanical Engineer will work for a market leading, family owned business that produces sustainable solutions for paper and board packaging. Our client develop packaging solutions with production facilities in Spain, France, Portugal, Italy, Ireland and U.K of which you will regularly visit during your programme.